Do you like to play games like Pandemic, Codenames, Seven Wonders, Quartz, or other European board games? 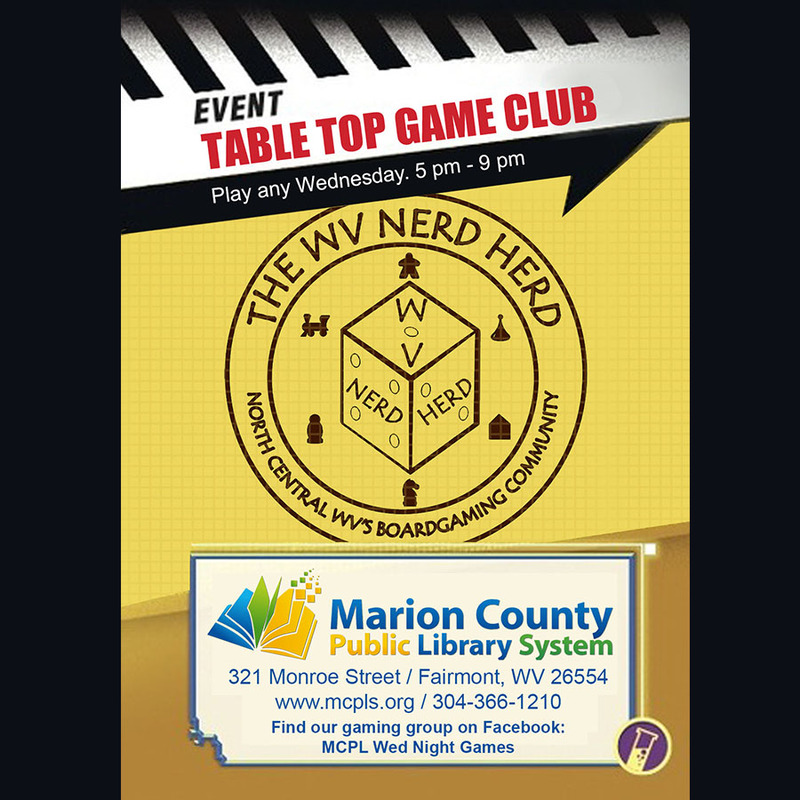 Then join us at the main branch on Wednesday nights from 5:00 p.m. to 9:00 p.m. for our Tabletop Game Group! Alternative, advanced, and imaginative games will be featured. Bring your own to share! This event is open to adults and mature teens. Refreshments will be provided. Contact Dan Ward at 304-366-1210 for more information, or join our Facebook group: MCPL Wed Night Games!